Please note that this is an Executive Summary report. Please refer to the full report which includes additional details, including detailed observations and recommendations, a proposed action plan to implement the recommendations, process flows and a complete interview list. The Greek Orthodox Archdiocese of America (“GOA” or “the Archdiocese”), a not-for-profit organization, is composed of 540 parishes, 800 priests, and approximately 1.5 million faithful. 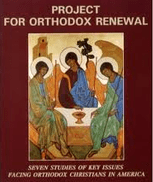 The mission of the Archdiocese is to “proclaim the Gospel of Christ, to teach and spread the Orthodox Christian Faith, to energize, cultivate, and guide the life of the Church in the United States of America according to the Orthodox Christian Faith and Tradition.” The Archdiocese serves as a beacon, carrier, and witness of the message of Christ to all individuals within the United States, through divine worship, preaching, teaching, and living of the Orthodox Christian Faith. The leadership of the GOA and the Archdiocesan Council have determined that there is a need to evaluate the methods and practices used by the GOA Finance function in the execution of its responsibilities with the objective of enhancing a culture of transparency and accountability and maximization of resources and results. In this regard, The Greek Orthodox Archdiocese of America asked Grant Thornton to bring an independent, objective third-party perspective, based on our relevant experience with other not-for-profit organizations, to “step back and take a fresh look” at how work is being performed from a best practices perspective by conducting an Operational Review of the Finance function. This assessment was a comprehensive analysis that addressed the efficiency and effectiveness of processes and practices, along with internal controls, leading to the identification of opportunities for improvement, and development of a prioritized plan for implementing change. Our review commenced in August 2017 and we completed our fieldwork in September 2017. During this time period, both the Executive Director and the Director of Finance were employed by the Archdiocese. Subsequent to our fieldwork, several organizational changes have been made as part of an ongoing effort to improve financial internal controls and transparency. This includes the departures of both the Executive Director and Director of Finance from the Archdiocese and the appointment of a new group of financial and legal professionals to serve as members of the Archdiocesan Council’s Standing Audit Committee. References to the Executive Director or Director of Finance are to those individuals that were in place at the time of our review. In our report, we have developed key themes and a summary of recommendations for the Archdiocese’s consideration for strengthening internal controls while continuing to bolster the efficiency and effectiveness of current processes and systems. We have presented the recommendations as projects to be addressed by the Archdiocese over a two year period. These recommendations include best-practice process changes, organizational improvements, and technology enhancements. Implementation of these recommendations will help the Archdiocese continue to evolve in order to efficiently and effectively manage and perform its functions. • Lack of policies and procedures resulting in control gaps for key Finance activities – We noted opportunities to enhance internal controls across several key Finance activities regarding segregation of duties, undocumented approvals for transactions, and limited transparency and accountability. Further, no formal policies and procedures were in place for key Finance functions so processes were inconsistently applied and lacked oversight. For example, we noted that policies and procedures have not been documented regarding approvals for wire payments and, as a result, we were not able to determine whether approvals were appropriate for transfers from restricted accounts to unrestricted accounts. In addition, at the time of our review, the Archdiocese had not documented and implemented an adequate internal control system for the proper management of receipts, disbursements, procurement, budgeting, wire payments, and corporate credit cards. As a result, there is a risk of ineffective cash management, lack of transparency, and loss of short term/long term liquidity. We recommend various opportunities to improve policies, procedures, and controls within the Finance function, including creating segregation of duties, reducing or eliminating manual processes, and eliminating duplicative efforts. • Limited or ineffective communication, coordination and reporting between departments – We identified both a lack of communication and ineffective communication between Finance and interfacing departments, such as IT, Human Resources, and Development. We noted a lack of timely communication from interfacing departments that routinely submit purchase requests to the Finance department with the expectation of immediate payment, which is inefficient and may result in delayed payments to vendors. As a result, vendor relationships may be compromised because the purchase commitment is created on the departmental level without the appropriate financial information or approval. Additionally, several policy changes have been communicated verbally and adherence to these verbal directives remains inconsistent within the Archdiocese. These verbally communicated policies should be formally documented, approved, and communicated to the relevant parties. • Opportunities to enhance training for Finance staff to maximize skillsets – During our observations and interviews we noted an opportunity to elevate the Finance function’s skill sets in the areas of general accounting, analysis, and compliance through a formalized training program. A consistent and comprehensive training program for all finance staff would enable them to perform day-to-day responsibilities in a more effective and efficient manner. We also noted opportunities for targeted accounting software training (i.e., from third-parties) for the Finance department to improve skills and competencies within the Financial Edge (“FE”) and Raiser’s Edge (“RE”) systems. We recommend mandatory training with minimum credit hour requirements each year (e.g., 20 hours) for Finance employees. Providing training to employees, over the long-term, will provide opportunities for improvement to overall departmental performance, address technical weaknesses, enhance consistency and compliance, improve employee performance, provide improved opportunities for career progression, increase employee satisfaction, and reduce errors and improve controls. • Inefficient use of technology – We noted opportunities for the Archdiocese to eliminate manual processes, and better integrate technology to create cost-effective, detailed transaction processing and reporting, which can reduce duplication of efforts and increase transparency. For example, all Accounts Receivable activities are input into two separate systems, QuickBooks and Financial Edge. QuickBooks is maintained as a legacy system, while Financial Edge is the primary accounting software for the Archdiocese. Finance staff often use the legacy system because they are more comfortable with the older software, and staff who are more proficient with FE input identical information into that system, resulting in duplication of effort, inefficiencies, and an increased risk of errors. Finance also performs a number of other manual processes, such as bank reconciliations, releasing outstanding checks (i.e., those that are printed and held until funds are available for payment), and budgeting. Finance staff are manually manipulating data multiple times within Excel worksheets, increasing the amount of effort needed to perform the task and increasing the risk of errors. Better leveraging technology can help reduce the use of manual activities, which are inefficient, require additional time and effort to be completed, are prone to error, and contribute to financial reporting delays. The recommendations outlined in this report relate to the enhancement of business processes, the Archdiocese’s use of technology, and organizational design within the Finance department in order to enable the organization to be more efficient, provide better access to more accurate and timely information, and allow the Archdiocese to make more informed and timely business decisions. In addition, by better utilizing the existing technology infrastructure within the Finance function and the organization, the Archdiocese can achieve further efficiencies across all of its functions and reduce the need for manual processes and controls through automation of key activities. 2 Enhance the annual budget creation process and implement a periodic forecasting process. 3 Formalize and document Finance policies and procedures. 4 Leverage technology to streamline and automate Finance and interfacing department processes. 5 Provide targeted training and learning opportunities to enhance employee efficiency and effectiveness. 6 Reorganize Finance department reporting lines and structure. 7 Create a centralized procurement process which includes improved oversight of goods and service purchases. Whether the in-scope Finance functions are acquiring, protecting, and using resources economically and efficiently, including identifying duplication of effort by employees or manual work that could be automated, along with process delays in service delivery and execution. The effectiveness of the Finance function in performing its responsibilities in serving internal and external constituents. Whether the in-scope Finance functions have in place the proper operational and systems controls to safeguard assets against unauthorized or improper use, and that transactions are properly authorized, recorded, and reported (i.e., integrity of information), including the identification of weaknesses in implementation and possibly design, as well as where processes and controls should be enhanced or added. Whether key management reports provide the information necessary to support effective fiscal and operational oversight. Whether the organization of the Finance function and the flow of information between it and other areas are appropriately designed. Note: All materials and analysis that were developed during the course of the project were prepared for the Archdiocese’s consideration and approval. The Archdiocese is responsible for determining and implementing the advice and recommendations we provided throughout the engagement. 1. Conduct kick-off meeting – we conducted a kick-off meeting with the Chief Financial Officer, to present our project approach and timeline, identified key personnel to interview, and discussed particular areas that were of concern to the Archdiocese. 2. Understand current environment – we collected and reviewed relevant documentation where available, such as organizational charts, job descriptions, policies, procedures, workflows, performance metrics, service-level agreements, etc. in order to develop an understanding of the in-scope areas’ activities and practices, information flows within and between relevant functions under review, internal control environment (associated with applications, infrastructure, procedures, practices, and physical environment), systems, and internal and external “customer” requirements. 3. Conduct interviews and process walkthroughs – we met with key personnel associated with the in-scope functions to better understand organizational structure, staffing, job responsibilities, and business processes and practices. As part of our review, we sought to understand certain key functions through select process walkthroughs (that served to supplement the “tell me” with “show me”) and compared activities performed to the Archdiocese’s expectations and best practices. Additionally, selectively we met with individuals in areas that regularly work with and/or are served by the Finance function to gain their perspective on service delivery and opportunities for improvement. 4. Analyze business processes – we analyzed the process and information flow and documented our understanding to the extent necessary to support our analysis, to identify key control points or weaknesses, and to highlighted areas with potential for improvement in efficiencies and effectiveness. 5. Assess operational and systems controls – based on our understanding of the Archdiocese’s key business processes, we advised you of key areas of risk that we have identified, along with existing controls and noted for the Archdiocese’s consideration where additional controls would help to mitigate existing or potential control gaps/weaknesses (i.e., “design effectiveness” of controls). 6. Analyze organizational structure – we reviewed the current organizational structure and staffing requirements of the Finance function, including current job responsibilities, personnel issues (cross training, job backup, etc. ), and coordination of activities between departments. 7. Assess supporting technology – we identified and recommended for the Archdiocese’s consideration how technology could be improved to better support business processes (by identifying deficiencies in either the applications themselves, how they are used, or how they interface with other systems). 8. Analyze findings and recommend alternatives – we analyzed our findings and suggested for the Archdiocese’s consideration alternative short and long term enhancements to practices (processes, responsibilities, and information flow), organization, and systems. As part of our deliverable, we documented our key observations and findings, and for each finding, explained its impact and recommended a course of action. Suggestions to the Archdiocese for improvement were aligned with overall strategic direction and scaled to address future needs, as well as existing needs. 9. Recommend a suggested action plan – we created an implementation action plan and timeline for your consideration in order to assist the Archdiocese and departmental resources with the execution of the activities required to effect change. We organized our short-term and long-term recommendations into a suggested action plan, composed of projects (i.e., logical groupings of recommendations) to recommend what we believe are the corrective steps that the Archdiocese should take. 10. Final presentation – we summarized and presented our findings and recommendations to the Archdiocese for their consideration. Previous ArticleHoly Fathers, are you fooling us? Embarrassing archdiocese failure is forcing the GOA to experience the MODERNITY real world of WESTERN rational ethical financial and administrative practices of transparency and accountability or see the collapse of the GOA in America. It will be interesting to see if the foreign Greek old world church of authoritarian closed, isolated and hiding thinking can paradigm shift to remain at least marginally viable in America. Grant Thornton cannot address the deeper systemic hierarchical corruption issues, irrelevancy of the church to the society outside of it, cultism of ephraim or the issues of younger generational losses. Those pictures of the incomplete St. Nicolas at ground zero in NYC are telling of the true spiritual state of the GOA. The financial issues are only symptoms of a deeper spiritual problem in the GOA. The problems confronting the GOA have been known for a long time. Studies have been done. Reports have been prepared. They are all sitting and gathering dust on shelves on East 79th Street. The data is well known.. and ignored. The leadership in New York and in Istanbul and their appointed enablers have marginalized the laity with successive modifications of the Charter and the Uniform Parish Regulations. The changes that are required to stem the downward spiral of the GOA are both systemic and notional. The Charter needs to be amended to restore the balance of responsibilities and input between Istanbul and the Clergy and Laity in the US. The Archdiocesan Council and the Clergy-Laity Congress need to be restored to positions of real authority and responsibility. The Laity’s self-understanding of its proper role in the Church needs to be restored and the Hierarchy’s role as “teacher and preacher” rather than all-powerful, unaccountable administrators over all aspects of the Church needs to be clarified. Everyone should understand that the purpose of the Clergy-Laity Congress is administrative. Every parish should be encouraged to submit items for discussion at Congress. Agendas, and financial reports should be delivered to delegates well before the Congress convenes. The Congress should be held on a college campus or retreat center and should consist solely of the Administration and Finance Committees. Meetings of those two committees should not be held simultaneously.. every delegate should be able to attend the meetings of both committees. 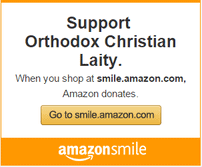 The purpose of the Clergy-Laity Congress is NOT to “project Orthodoxy and Hellenism” to a disinterested US public. Speeches by political leaders (American, Greek and/or Cypriot) are a distraction. Black-tie dinners in expensive hotels are a distraction. Limos delivering dignitaries and bishops to expensive venues are a distraction. The GOA is at the tipping-point. The crisis is existential. It is time to get serious. Otherwise the Church our parents, grandparents and great-grandparents established in the US will cease to exist.. and “Orthodoxy in America” will be confined to the fundamentalists in the Ephramite monasteries supposedly operating under the Omophorion of the GOA.